Positive outcomes. Practice growth. Patient satisfaction. As a dental professional, you know how important oral health is to your patients' overall health. You've also seen firsthand how dental phobia keeps people from seeking treatment. Since neglect seldom leads to easy dental visits, fear often becomes a self-fulfilling prophecy. DOCS Education and our partners offer great sets of tools to help you extend quality dental care to your community. Individually, the DOCS Education instructors who serve as faculty are highly accomplished doctors. Collectively, they are extraordinary – inspiring comparisons to the superheroes who combine to form the comic world’s League of Justice. Individually, the members of the DOCS Education faculty who’ll serve as the primary instructors are master practitioners. Collectively, however, the DOCS Education faculty rise to a league of their own. As a team, the DOCS faculty are unequaled for their knowledge, experience, teaching talents, and – most importantly – effectiveness. In short, they preach what they practice. Dentists and team members will leave immediately ready to implement what they’ve learned. 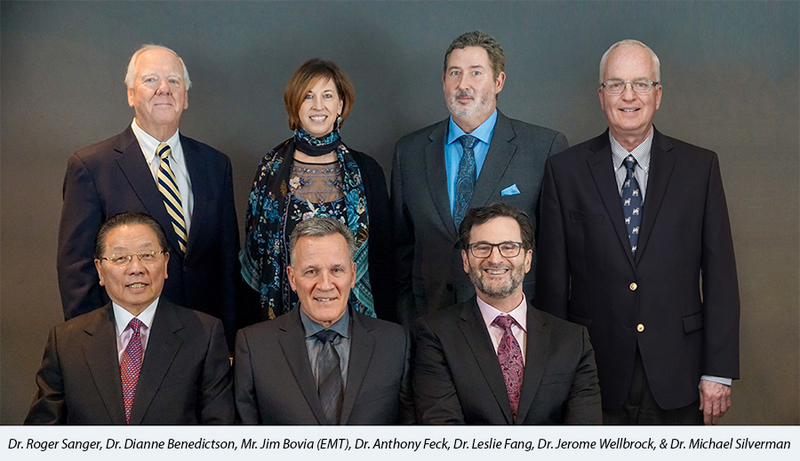 Since 1999, DOCS Education courses have earned the distinction of featuring America’s Best Dental Faculty, led by Dr. Anthony S. Feck, Dean of Faculty. DOCS instructors are renowned for their interactive, hands-on teaching pedagogy that makes classes memorable, actionable, and enjoyable. You’ll quickly understand why our 20,000-plus course alumni consistently rank our faculty their favorite instructors ever. In the world of comic books, Superman, Batman, Wonder Woman, Aquaman, The Flash, and Green Lantern comprise the core of the Justice League – superheroes who join forces to save the world from evildoers. Their sum is greater than their parts. In the real world, we’ll bring together an assembly of awe-inspiring educators – we think of them as, “The Dental League” – who partner with you and your team members to eradicate patient fear, anxiety, pain, and the scourge of neglected oral health. Join our dedicated community of champions of healthcare excellence who provide the safest, state-of-the-art, dental services. 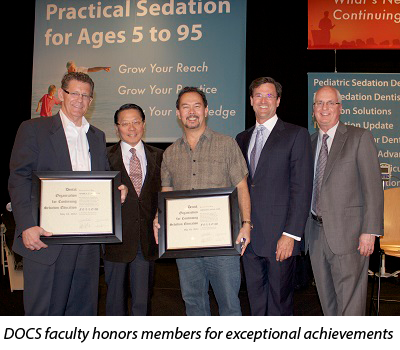 Our members stand ready to serve one another by sharing knowledge gained from years of practice pertaining to sedation and treatment protocols. If should you ever have a patient in the chair and encounter a situation that requires an expert consultation, your membership entitles you to utilize our telephone hotline to quickly reach one of our faculty members for a consultation. We've also got your back should you encounter a regulatory or legal issue. Ours is the only dental organization in the nation with an on-call, full-time regulatory attorney available to advise members. What matters most, however, are your patients and the advantages that membership ultimately confers on them. As a member, you are part of a supportive network of professional colleagues who make you a better, more confident, more successful dentist. Your patients receive the comfort of knowing that their doctor will provide them the very best, safest, most-comforting dentistry available anywhere. 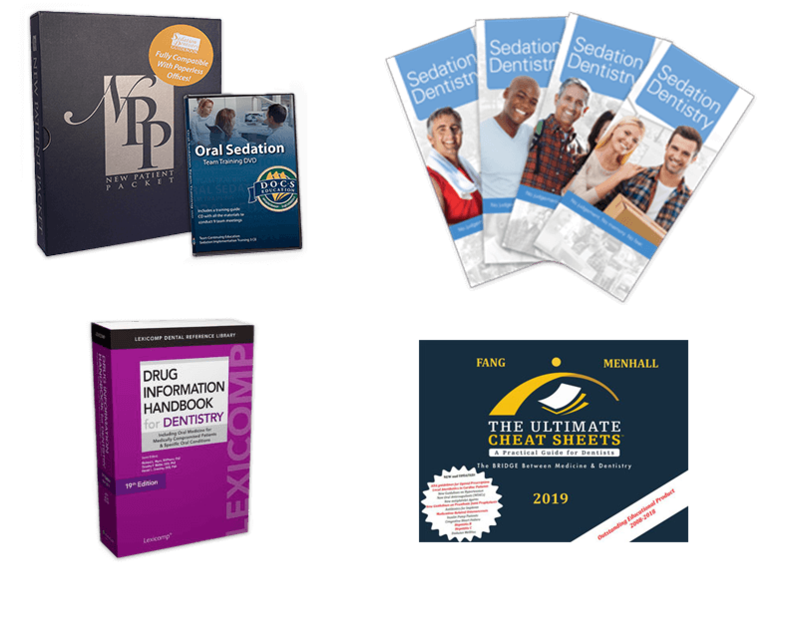 DOCS Education always finds fresh opportunities to keep our members informed, engaged, connected, entertained, and poised for maximum success. Created and tested by experienced professionals with a single purpose in mind - to help more people receive the care they deserve. Doctor products simplify and accelerate the implementation of extraordinary levels of safe and effective delivery systems. Help your dental team create a safer place for patients with products that strengthen confidence and the feeling of ownership. Give patients hope, courage, and a reason to reach out to you with non-judgmental communication tools. Incisor, the free biweekly dental industry newsletter from DOCS Education, is a living encyclopedia of relevant, timely, and actionable information for all oral health professionals. Subscribe for free here. No membership is required.